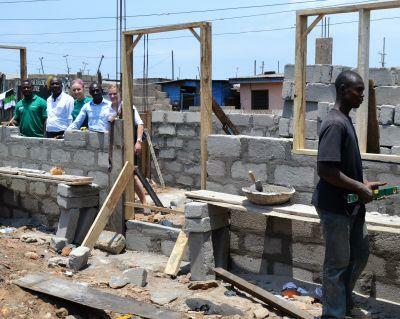 Projects Abroad Human Rights Office (PAHRO) makes significant progress with the Fadama Legal Assistance Program (FLAP) in the slum community in Old Fadama in Accra. The Human Rights team of volunteers and staff have been creating awareness and empowering the community to know about their basic human rights. 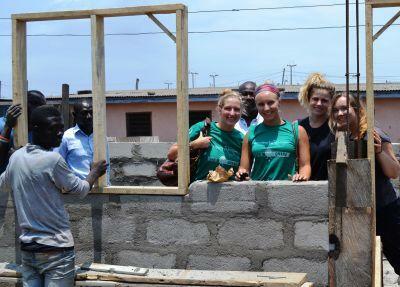 After the program, the volunteers paid a visit to the building site of the new FLAP Centre. The building was a result of fundraising and donations from Jennifer Croker (Australia), Kristine Mikkelsen (USA) and Jennifer Mill (Australia).